Horizon Bloom is an abstract "floral landscape" in blue and red. This original watercolor painting by Francelle Theriot is moody yet elegant. 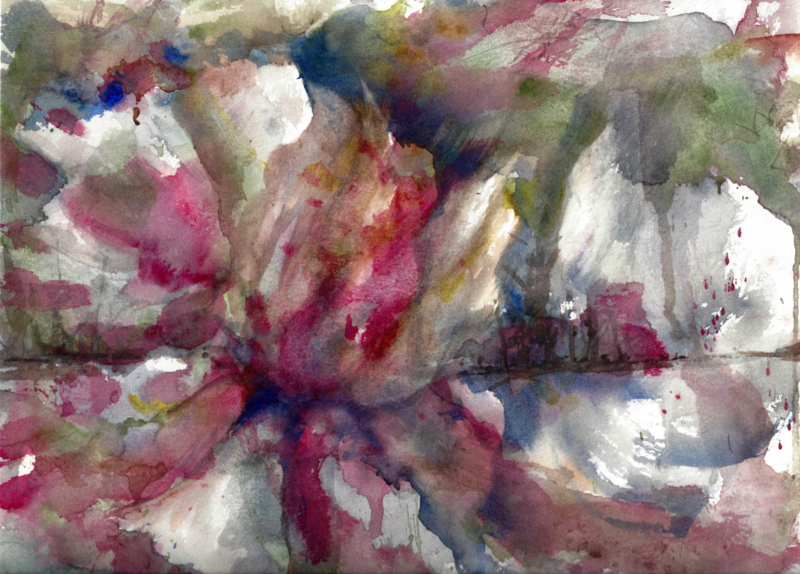 9″x12″original, painted on Arches 140 Pound, Cold Press paper. For art prints and products that feature this design at on-demand sizes, you can SHOP HERE.